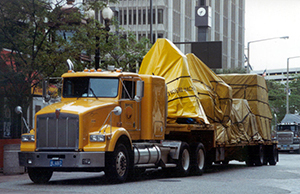 Phoenix's reputation for quality and care has afforded us the opportunity to provide machinery moving and rigging services for many diverse companies from various industries. As a result, Phoenix's riggers have completed many challenging and unique rigging projects for our customers. Our riggers are continuously being updated with the latest rigging and installation specifications. 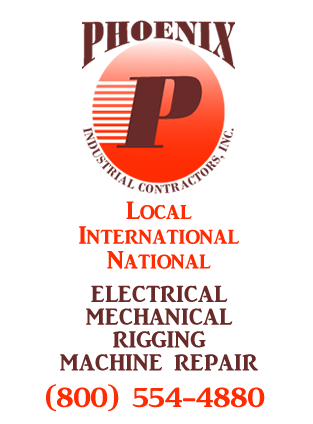 Phoenix Industrial Contractors provides international, national, and local machinery moving services. If you need an entire facility moved or a single piece of equipment we have the equipment and experience to complete the job. Our machinery movers and riggers will meet with your team and provide a plan to reduce your downtime to a minimum. We will produce a detailed plan including a cost estimate and work required to complete the move. We are custom crating and packing experts and offer domestic and international shipping. With over 40,000 square feet of heated secure storage we can accommodate most any machinery moving and storage need. Our riggers and machinery moving team can manage projects of any size, we offer turnkey plant relocation services for commercial and industrial moves of any scope. Please call our highly trained and experienced machinery moving and rigging experts today. For more information, fill out our contact form or call us today at 800-554-4880 to set up an appointment for a free estimate of your machinery moving or rigging project. For more information on machinery movers and rigging please visit our Phoenix Machinery Movers website phoenixmachinerymovers.com.